Thanksgiving is on our doorstep, so you should all start preparing for it. This festive holiday is meant to be spend with family and friends. 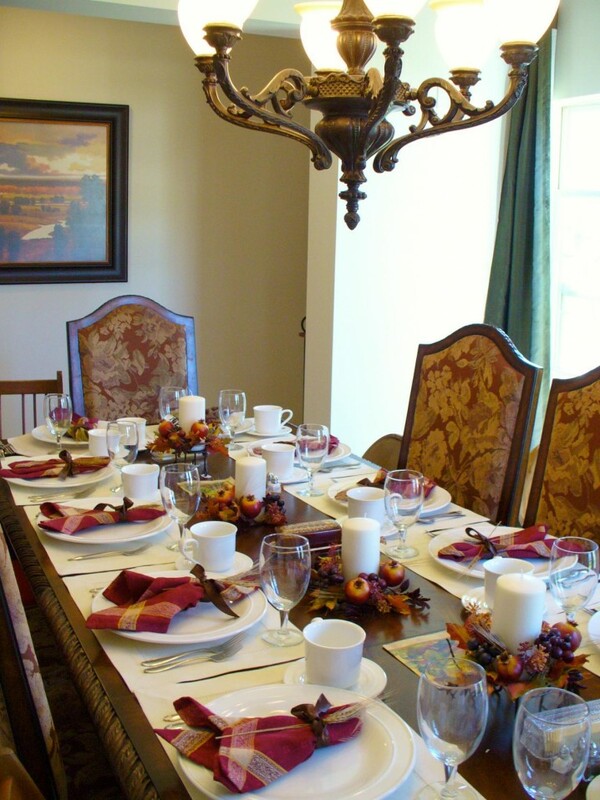 The tradition is to have a dinner where you can all gather and give thanks for everything that you have in your life. 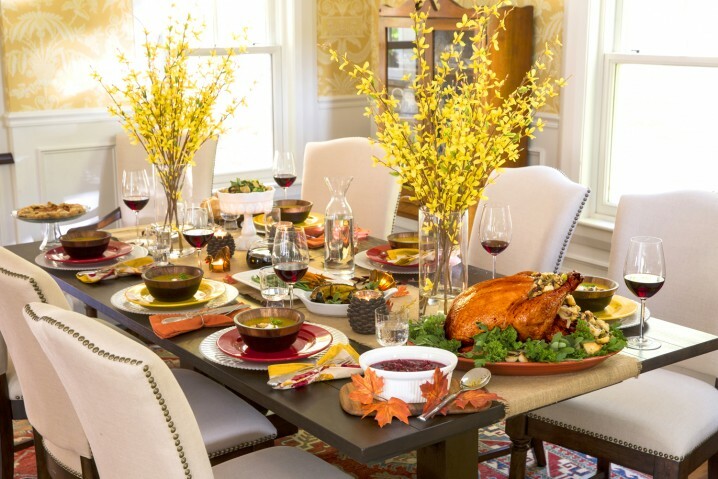 Today, we have made a photo collection of 15 Great Thanksgiving Table Decorations that you can draw inspiration from of how to decorate the table for this special holiday. 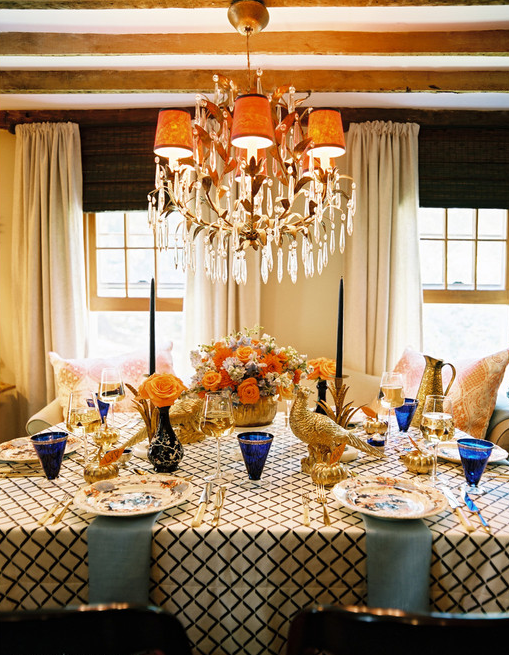 The traditional colors for Thanksgiving are yellow, orange, brown and green, but you can also decorate the table with other color scheme, like purple, black, gold or royal blue. 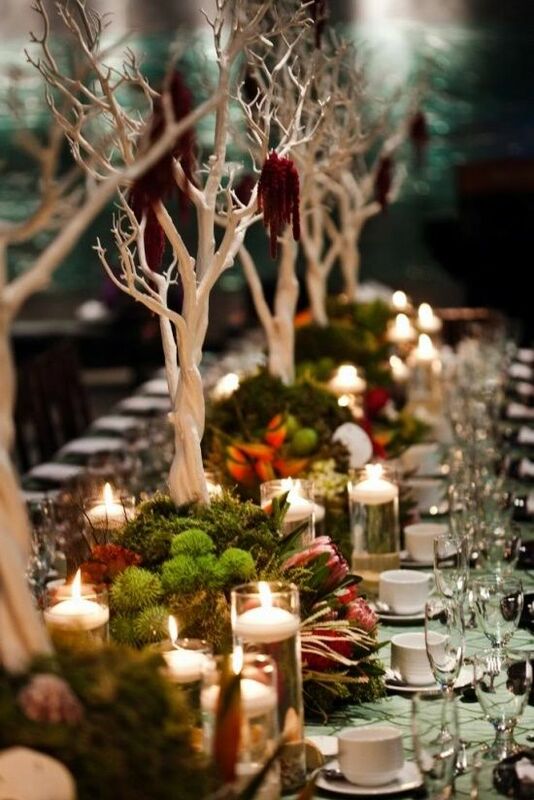 The following table decorations are quite versatile, in terms of color and style. 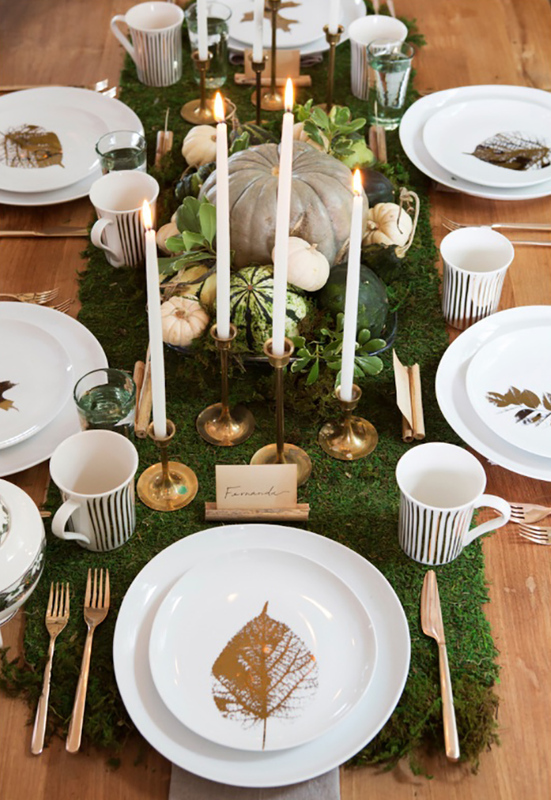 So, whether you want to stick to a traditional style, give a rustic vibe, want to make make it look modern and elegant, or wish to set it in the outdoors, we have got you covered with all of these table settings. Scroll down and check them out. 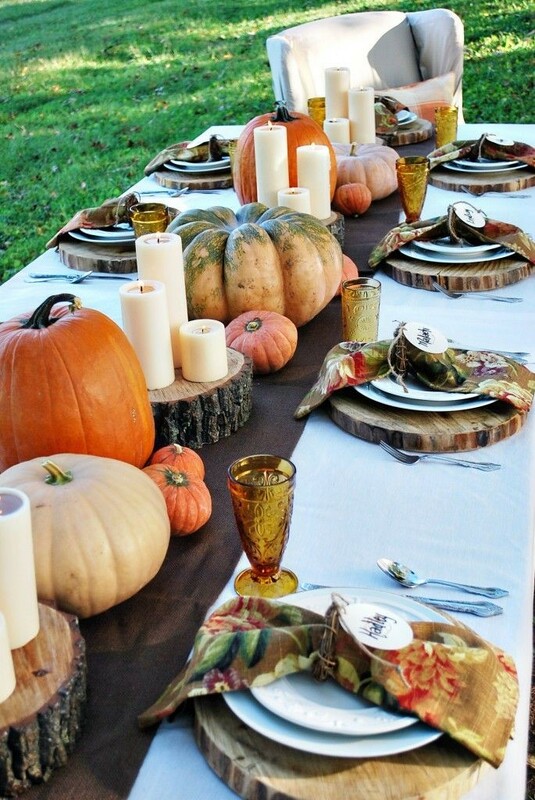 So, let’s imagine that you already know what you are going to cook and now is a time for choosing the table decor. 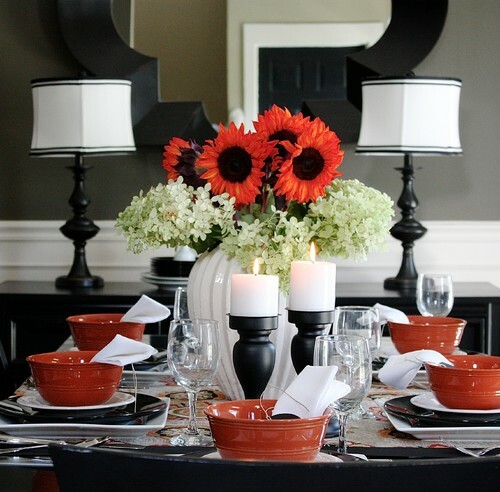 First, choose what color you want to be the main color of the table setting. 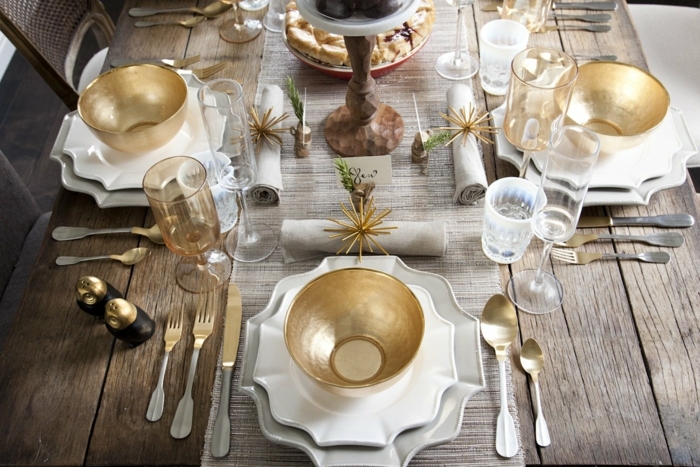 For instance, if you choose gold to be the base color, then get some gold tablecloth, napkins, plates and utensils. 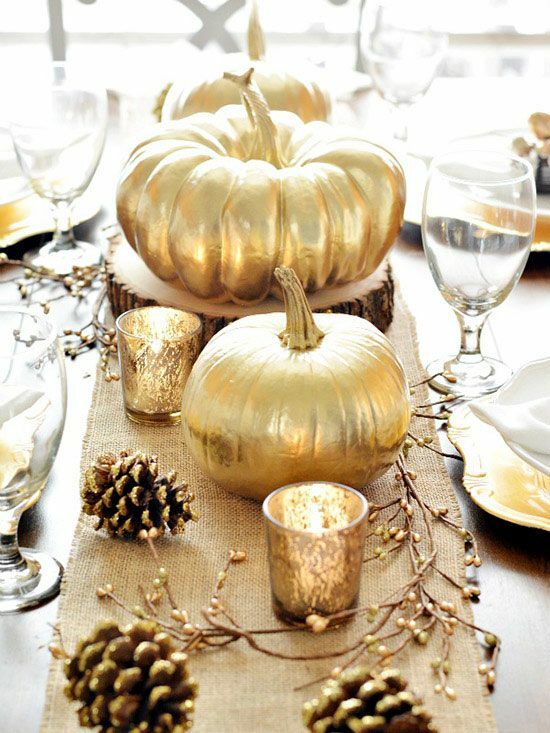 Also, you can paint some pumpkins and leaves in gold. Gold can look good with other colors too, like white, purple, black and burgundy. 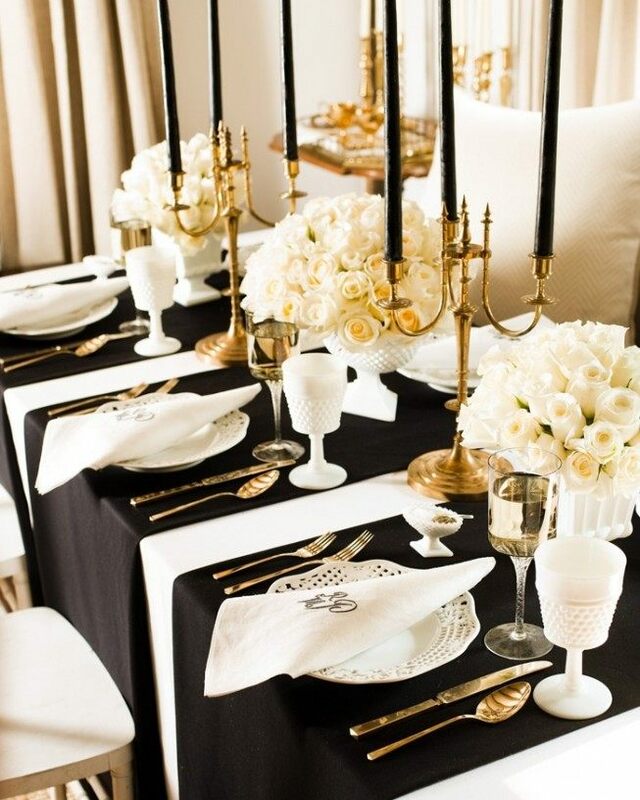 A gold and black combo is the best one for creating and elegant and sophisticated decor. 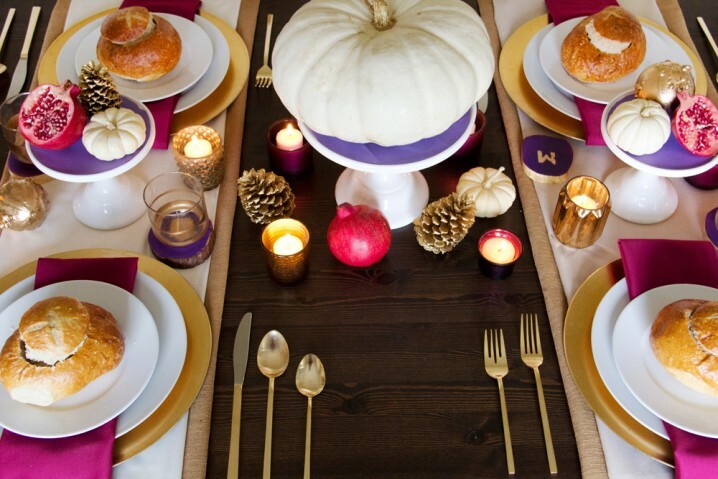 Purple is another color that can be part of your table decor for this Thanksgiving. This rich and royal shade can be combined with gold, yellow, silver, white or orange. 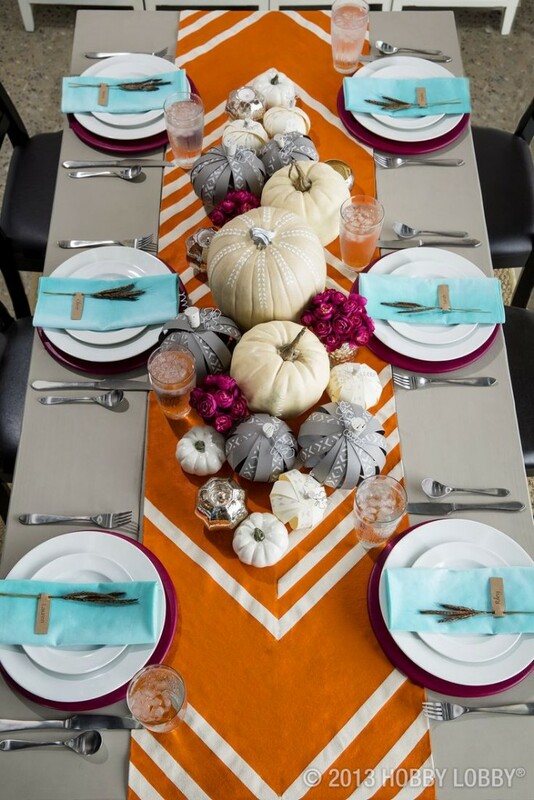 Choose some purple tablecloth and napkins, add some silvered or orange pumpkins and bronze deep umber leaves. 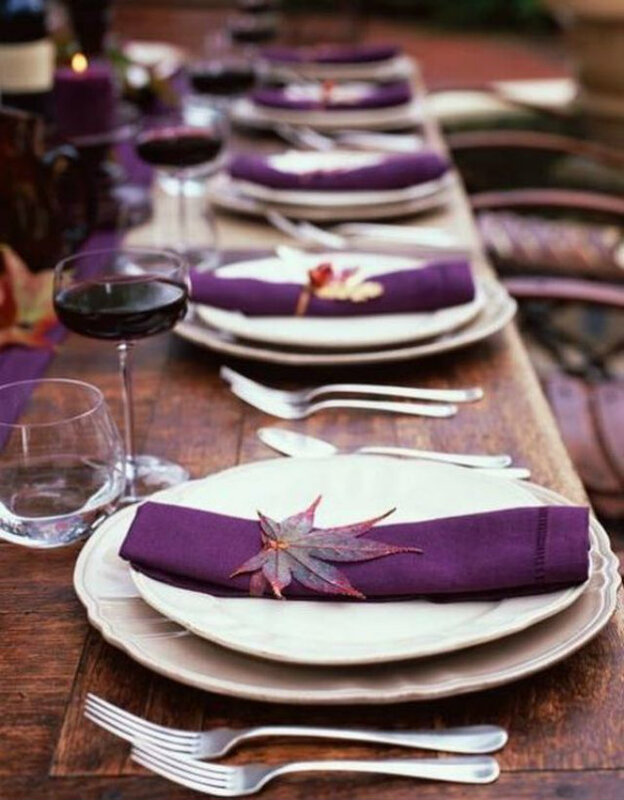 Also, purple can be found in various shades, so you can even create a monochromatic table decor with the many shades of purple, from lavender to deep wine shade. 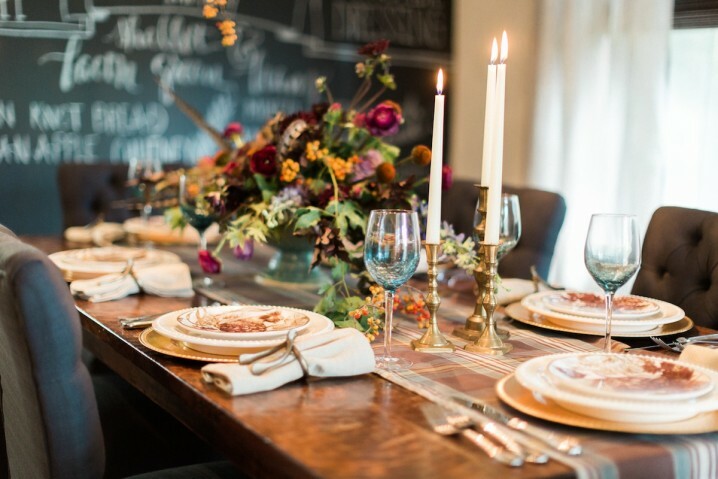 A great table decor, delicious dinner and your family and friends is what you all need for having the perfect Thanksgiving. 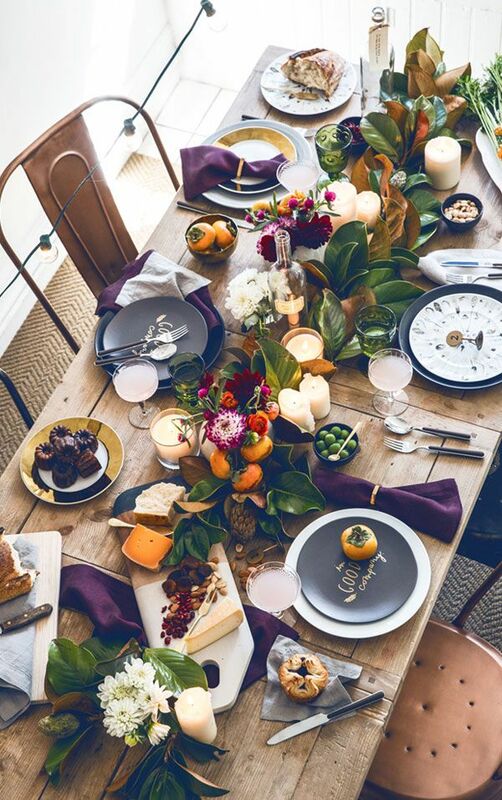 Tell us in the comments which one from the above table decorations is your favorite and what colors and style would you choose for your table decor for this special holiday. Thank you for reading and don’t forget to stay up to date with our content to find many other useful ideas for Thanksgiving as well as for all the other upcoming holidays.